Patrick Wilson received his Bachelor of Arts degree at the University of California, Davis in 1993 and his Masters of Fine Art degree at Claremont Graduate School in Claremont, CA in 1995. 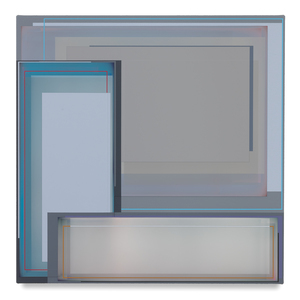 Recent group exhibitions include "Michael Reafsnyder & Patrick Wilson", Miles McEnery Gallery, New York, NY; “Pivotal: Highlights from the Collection,” Orange County Museum of Art, Newport Beach, CA; “On the Road: American Abstraction,” David Klein Gallery, Detroit, MI; “Geometrix: Line, Form, Subversion,” Curator’s Office, Washington, D.C.; “NOW-ISM: Abstraction Today.” Pizzuti Collection, Columbus, OH; “California Visual Music – Three Generations of Abstraction,” Guggenheim Gallery, Chapman University, Orange, CA; “Local Color,” San Jose Museum of Art, San Jose, CA; 2010 California Biennial, Orange County Museum of Art, Newport Beach, CA; “Keeping it Straight: Right Angles and Hard Edges in Contemporary Southern California,” Riverside Art Museum, Riverside, CA; and “Gyroscope,” Hirshhorn Museum and Sculpture Garden, Washington, DC. Patrick Wilson: West, Fusebox, Washington, D.C.
Geometrix: Line, Form, Subversion, Curator’s Office, Washington, D.C.
Andrews, Scott. “A Warlike People.” Java Magazine Feb. 2005. Art on the Riverfront: Selections from the Radio Shack Collection. Exhibition Catalogue. 2005: 56. Baker, Kenneth. 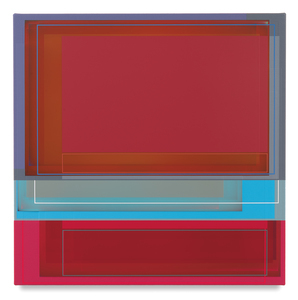 “Abstract Painter Reflects Subtle Gestures: Patrick Wilson on the Edge.” San Francisco Chronicle 24 Apr. 1999. Baker, Kenneth. “Cool Paintings Radiate Heat.” San Francisco Chronicle 12 Dec. 1998. Baker, Kenneth. “Fine Work in the Living Room.” San Francisco Chronicle 23 Apr. 1998. Baker, Kenneth. “Patrick Wilson’s ‘Action Painting’ in Slow Motion.” San Francisco Chronicle 16 June 2012. Baker, Kenneth. “Quiet Gems Merit Close Attention.” San Francisco Chronicle 22 May 2010: E2. Baker, Kenneth. “Wilson at Marx & Zavattero.” San Francisco Chronicle 3 May 2008: E10. Baker, Kenneth. “Wilson Paintings at Gross.” San Francisco Chronicle 21 Oct. 2006. Baker, Kenneth. “Winning Wilsons at Marx & Zavattero.” San Francisco Chronicle 21 May 2010.